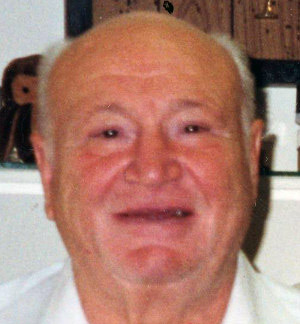 Lifetime resident of Paoli-Berwyn-Strafford area, Mario A. Scartozzi, 91, founder and owner of Marwyn’s Shoes in Paoli, and former officer of the Paoli Business and Professional Association, passed away peacefully on Sunday, June 25. Mario, and his wife, Winifred, began the shoe business together in 1950 as one of the original occupants of the Paoli Shopping Center, and operated the first and only shoe store in Paoli. After moving to ever larger shops within the Paoli Shopping Center, Mario ultimately moved the location of Marwyn’s Shoes to his own property at 21 E. Lancaster Avenue in Paoli where he operated the family shoe business until 2008 at the age of 83. His amazing work ethic, rugged individualism, larger-than-life personality and desire to serve the community and family all contributed to his success in the family shoe business. Mario also took pride in owning the properties housing The Cocked Hat and The Christmas Shop in Paoli and always wanted to improve Paoli’s appearance. In 1992, Mario received the honor of the Paoli Business Person of the Year. He took great pride in renovating properties in Paoli and overseeing many projects for which he won PBPA’s Business Improvement awards for architectural design. Mario also proudly served in the United States Marine Corps during 1944-1946, including the occupation of Japan. Mario is survived by his wife, Winifred; by daughters Janet DiEugenio (State College, PA) and her husband, Richard, Cynthia dePasquale (Berwyn, PA) and her husband, Charles, and son, David Scartozzi (Berwyn, PA); by six grandsons: Nicholas DiEugenio (Chapel Hill, NC) and his wife, Mimi Solomon, Patrick DiEugenio (Atlanta, GA) and his wife, Savannah Poole, Christopher DiEugenio (Falls Church, VA) and his fiancée Leigh Cramer, Andrew DiEugenio (Fayetteville, NC) and his wife, Shannon Ferguson, 1st Lt John “Kip” DiEugenio, USAF (Newport News, VA) and his fiancée, Lauren Kesselring and Daniel dePasquale (Philadelphia, PA); by granddaughters Natalie dePasquale (New York, NY) and Catherine dePasquale (Berwyn, PA); and, by three great-grandsons: Penn and Marco DiEugenio (Atlanta, GA) and Andrew DiEugenio, Jr. (Fayetteville, NC).